I’m not a pub kinda girl. I know it’s terribly un-English of me to not yearn for weekend roasts and post-work pints in the sticky sweet atmosphere overflowing with chattering murmur, interrupted by outbursts of laughter and clinking glasses. And yes, I know it’s terribly un-American to not be enchanted by the familiar interiors, charming quirks and stories told by that local who can always be found perched upon his post. 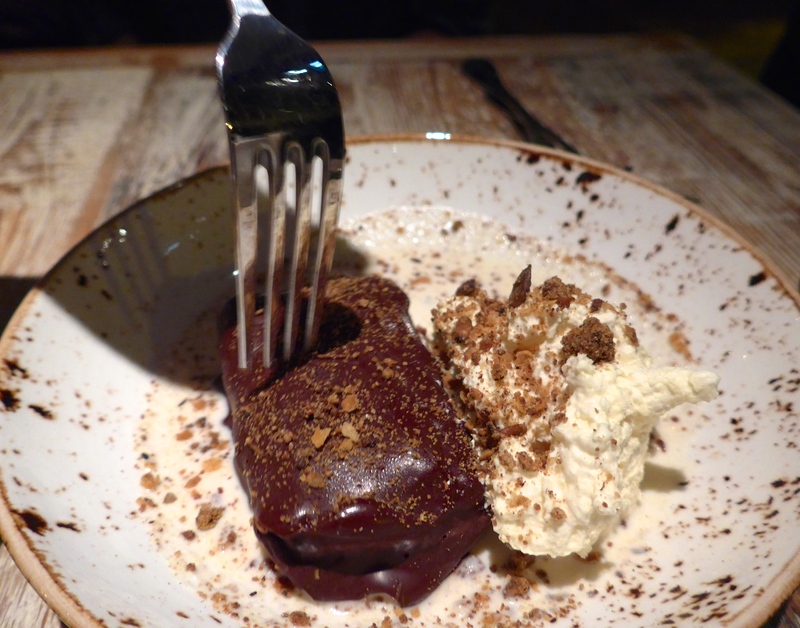 But, the environment aside, it is unsurprisingly, all about the food. The sad, repetitive menus listing average dishes are no less comforting to me than a lukewarm bubble bath. But, what about the rise of the gastropub! you shout at me through your screen, shaking with rage behind your mug of tea – which is fair enough, as I might as well have insulted HM The Queen, given the importance of this fine English institution. Now that I’ve finished shuddering at your use of the term ‘gastropub’, I will reluctantly agree that yes, the incessant turnaround of rundown pubs being seized by culinary crews and reborn with fresh licks of paint, creative interiors and friendly front of house have undeniably improved these tedious establishments. 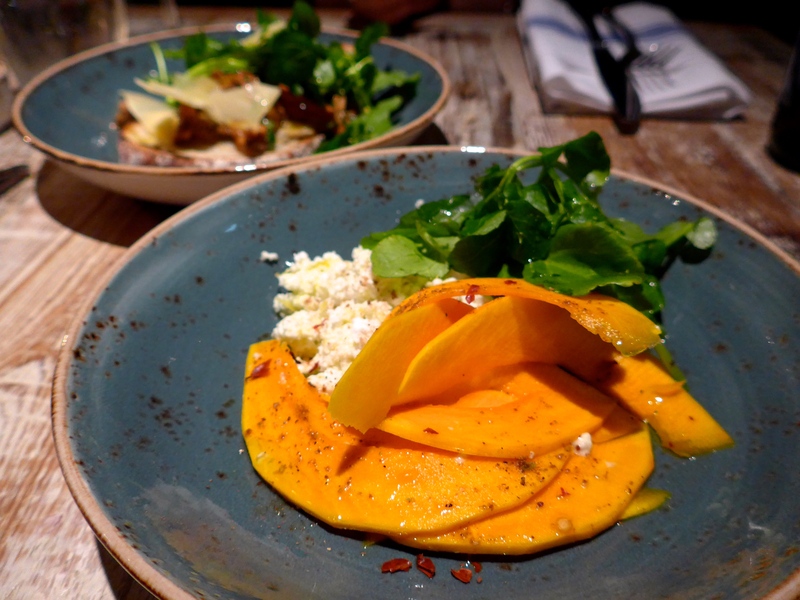 It’s not often, however, that the food shines through with creativity, elevation or elegance. Well Londoners, I’ve found one. 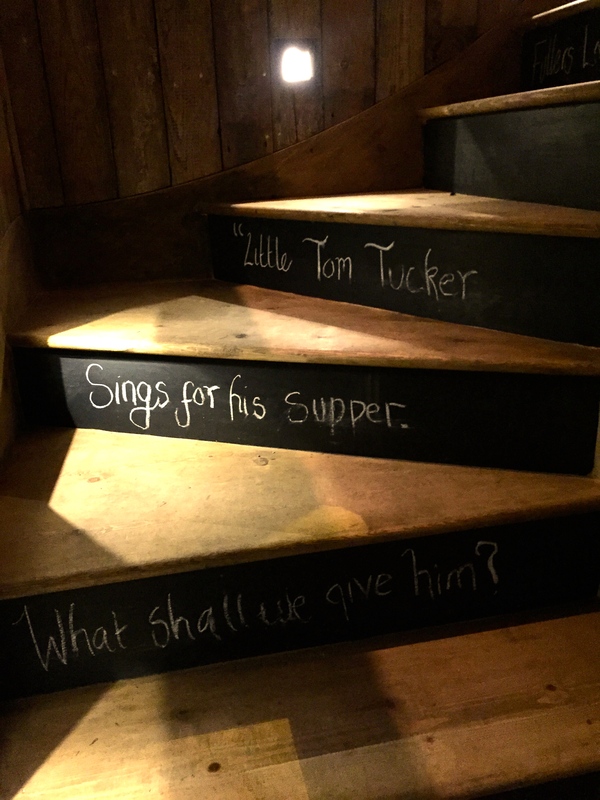 A pub that aims to please, The Tommy Tucker has set up shop in the side streets of Fulham. 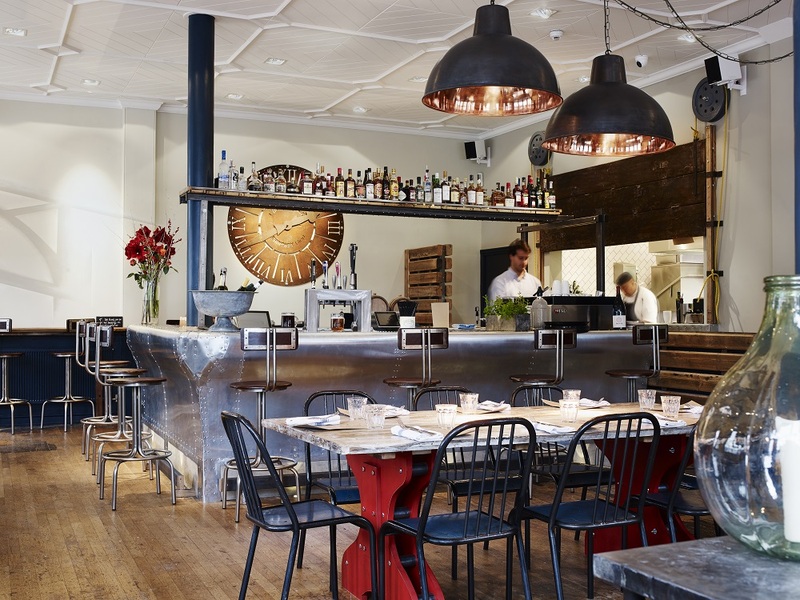 Here, the perfect mix of rustic charm and culinary finesse is headed up by the band of boys behind Parsons Green sweetheart, Claude’s Kitchen. I’m sure you’ve heard of this much-loved local by now, as every West Londoner has been singing its praises. I decided to swallow my preconceived disdain, and skipped down to meet the lovely Seb and Jaia for supper. The menu is divided into meat, fish, fruit & veg, and on the side. Each dish is accompanied by a selection of thoughtful ingredients, including pickled beetroot, mushroom ketchup, lavender jus, Jerusalem artichokes and salsa verde, all of which make foodie me tingle. 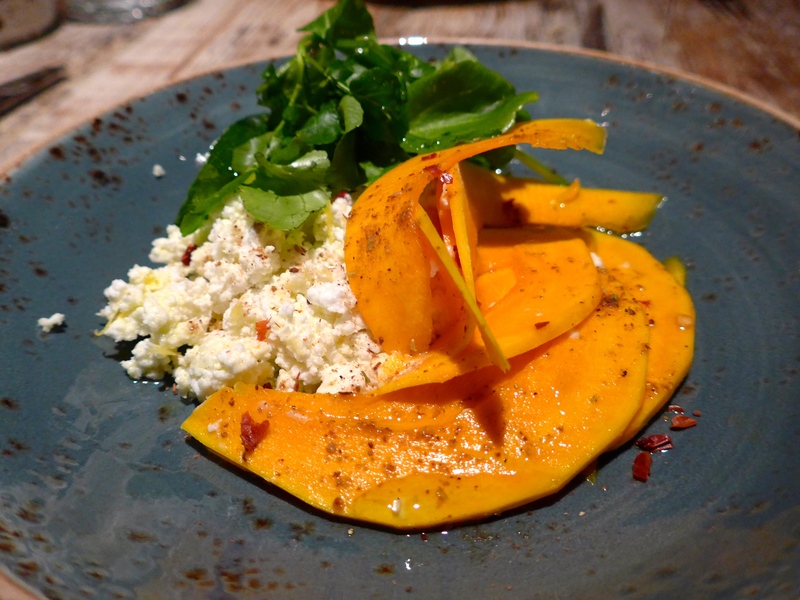 To start, I went for an obligatory order of pickled pumpkin and goats curd with winter herbs and spices. 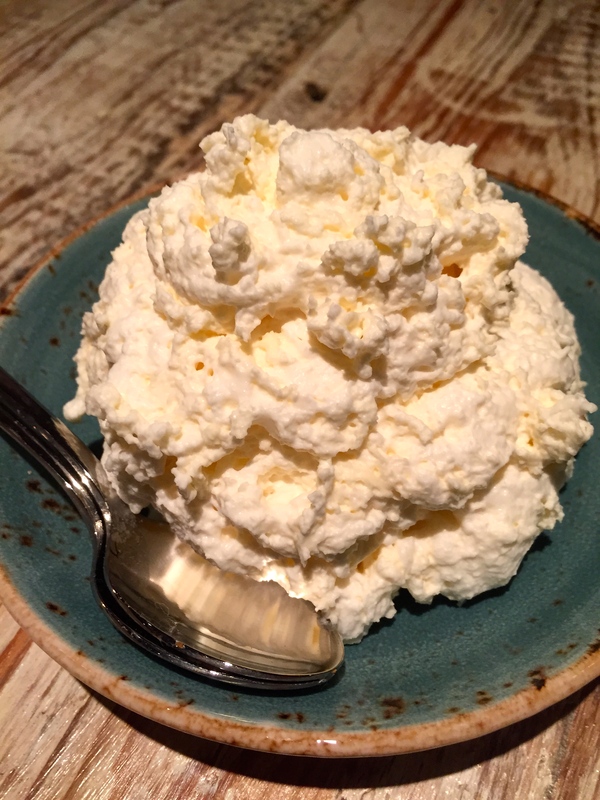 The pumpkin is crunchy with a sweet sharpness, perfectly paired with subtle flavouring from the goats curd. 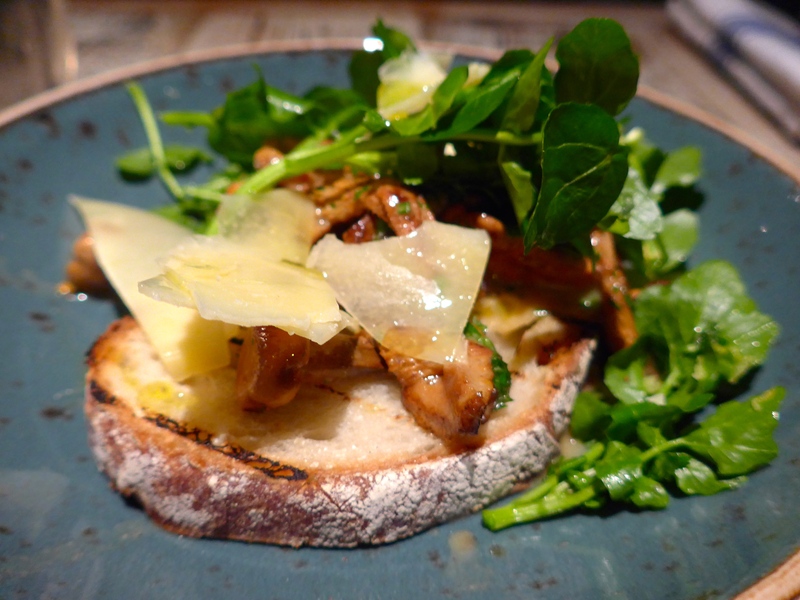 My dates went for girolle mushrooms on grilled sourdough with watercress and shaved Berkswell cheese. 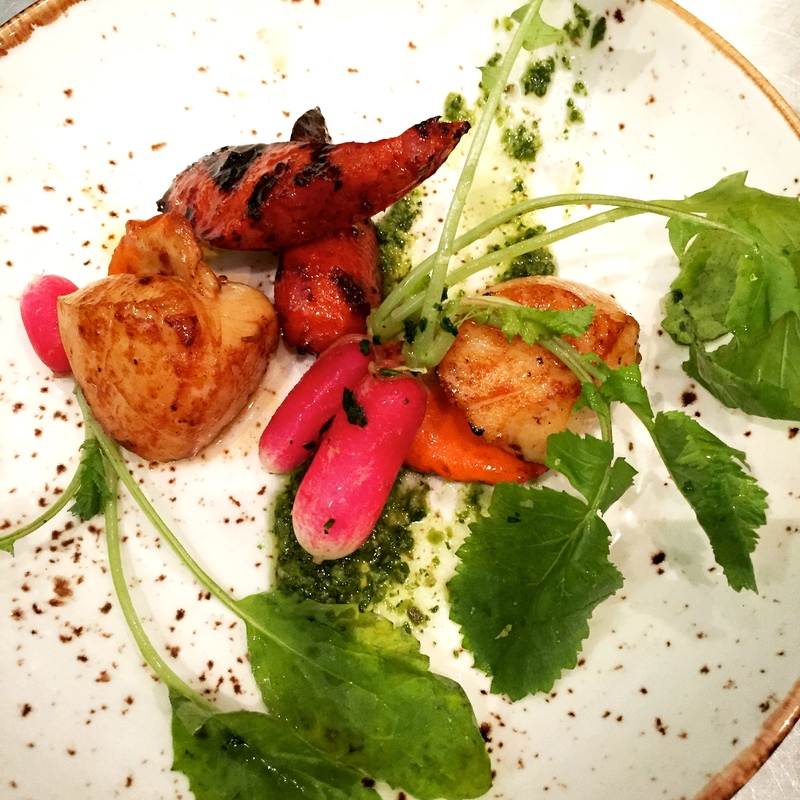 And scallops with chorizo, radishes and its leaves, both of which were delicious, and prompt me to recommend you order all the starters to share between the table, as this left me greedily wanting to try them all. 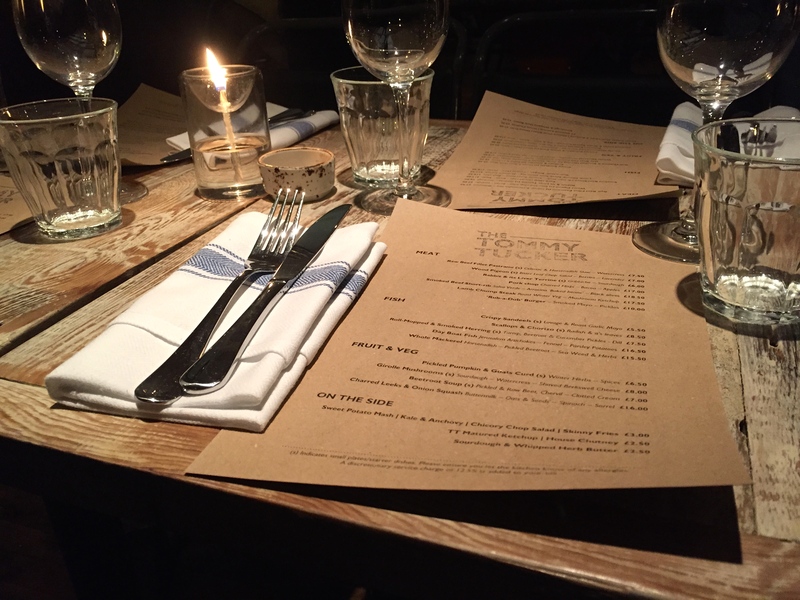 Ready for more, our mains were served with a side of congeniality, present across all the staff here. 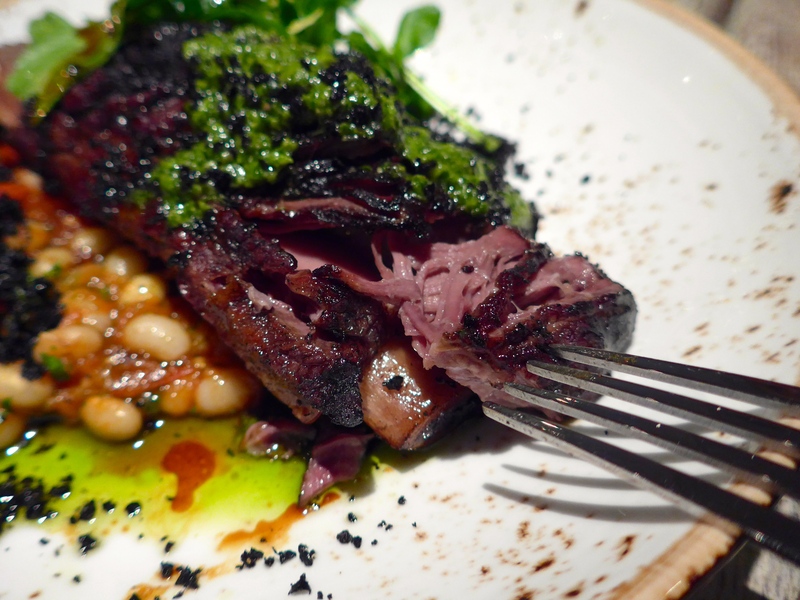 My smoked beef short-rib was served with arrocina ‘baked beans’ and black olives, topped with salsa verde. 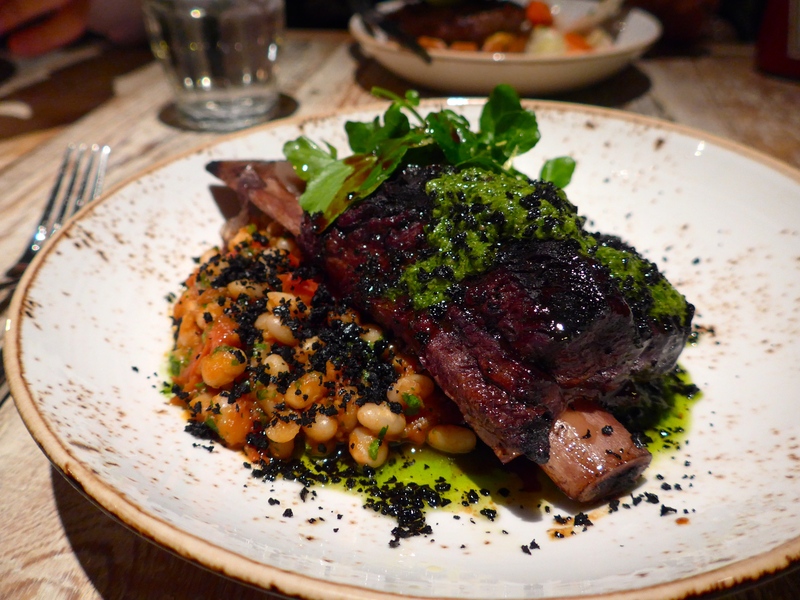 The meat was so tender it was falling off the bone, and was lifted by the acidity of the salsa verde and olive. 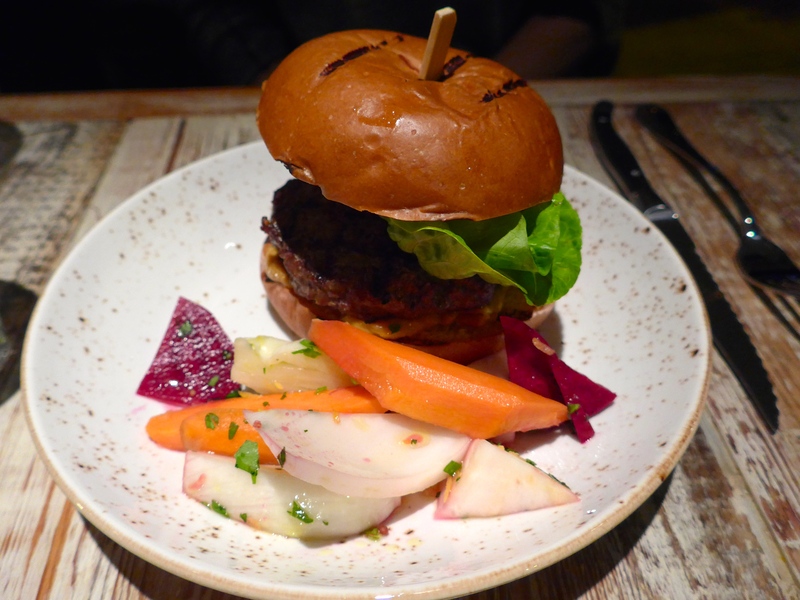 J went for ‘Rub-a-Dub’ Burger with smoked mayo and pickled vegetables, which somehow managed to look attractive with its pretty playmates of tart veg. 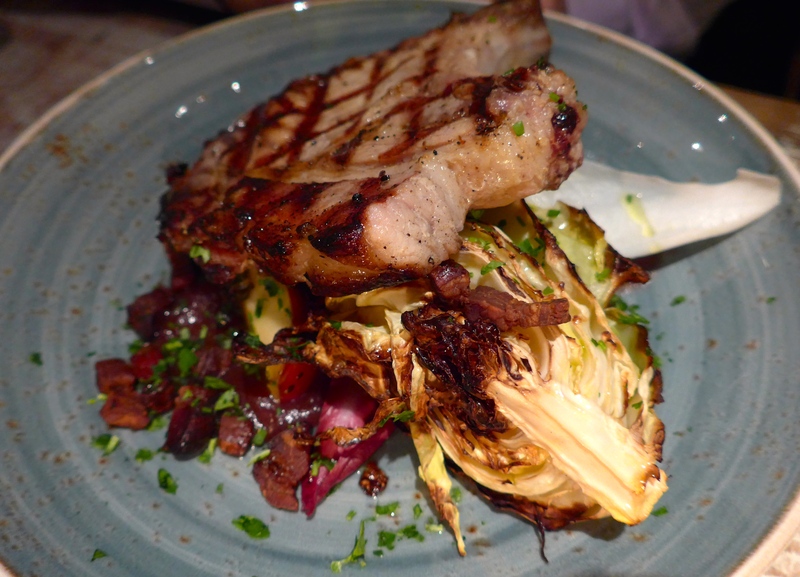 Seb completed our proper meaty feast with an order of pork chop served with charred hispi, bacon and apples. 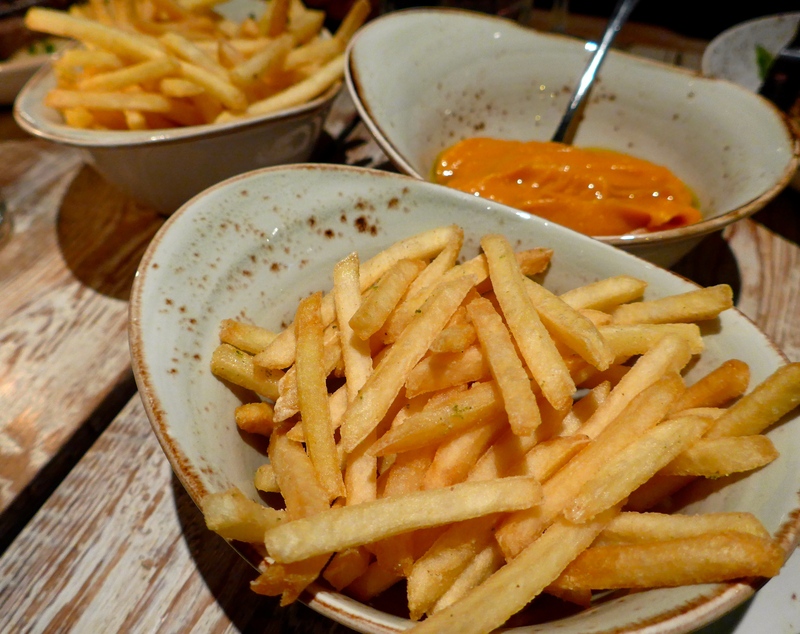 Our bit on the side was several orders of deliciously moreish chips and a tad overly sweetened sweet potato mash. Wander downstairs to the loos and find the namesake’s nursery rhyme. 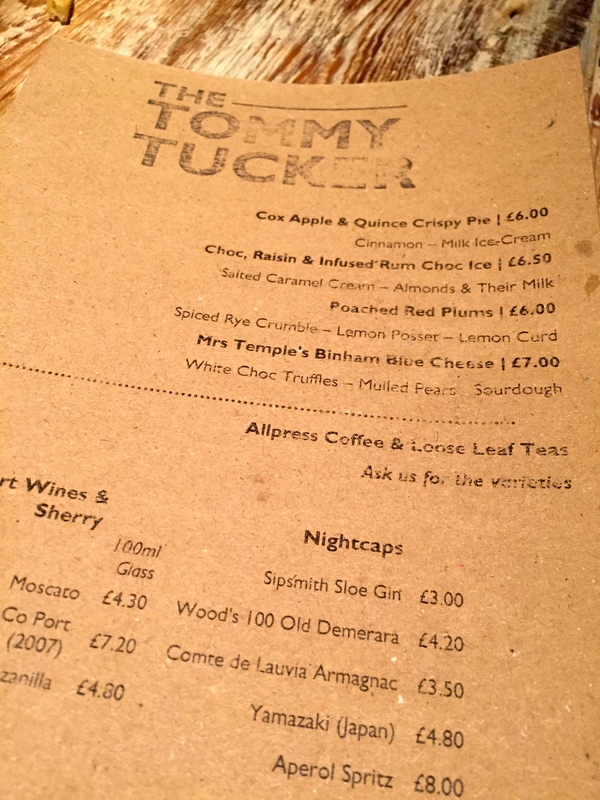 Be sure to also check out the ‘Tuck Shop’, a temperature controlled jewel box of fine wines painstakingly tried and tasted one sip at a time. Because all good things end with pudding, (my new saying), we decided to check out the sweet treats. 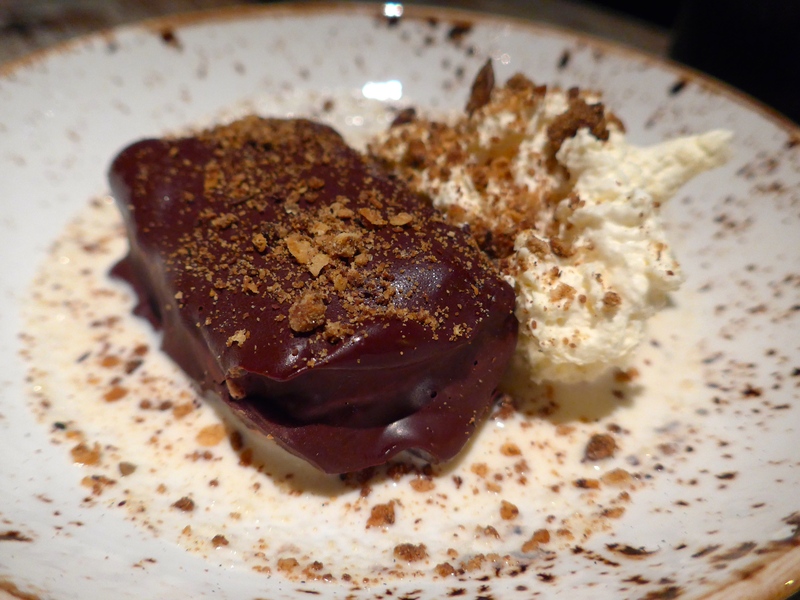 An adult version of choc ice is served with raisin and rum infused ice cream is sure to bring back wicked memories of childhood misbehaviour. This is far to difficult to eat in a civilised manner with a fork and spoon, so I advise you pick it up with your fingers and go for it. Offer any horrified neighbours a bite and I’m sure they’ll understand, or ignore their judgemental looks as they sound completely dull anyways. Be sure to dip in the accompanying salted caramel cream, almonds and their milk. 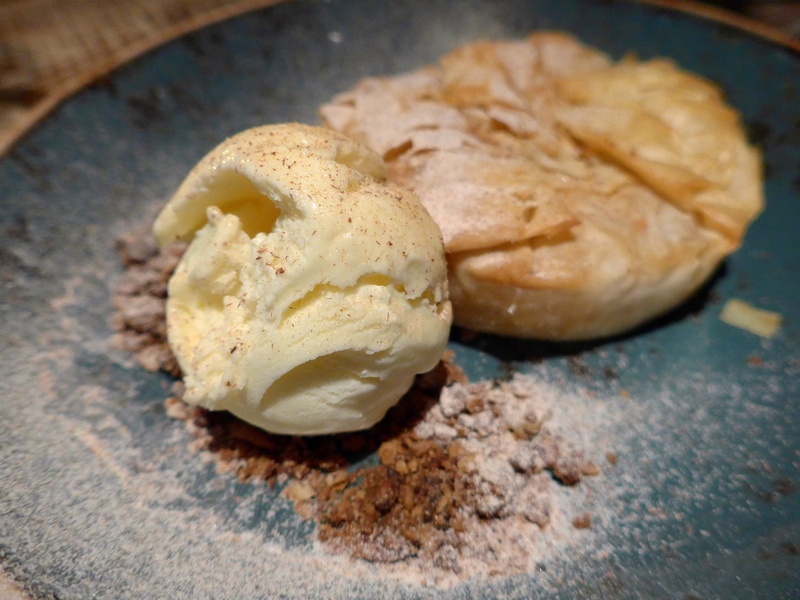 The Cox apple and quince crispy pie is served with cinnamon and milk ice cream. This underwhelming title does not do the delicate dessert justice. I mean just look at it – it deserves more than its three-lettered moniker. 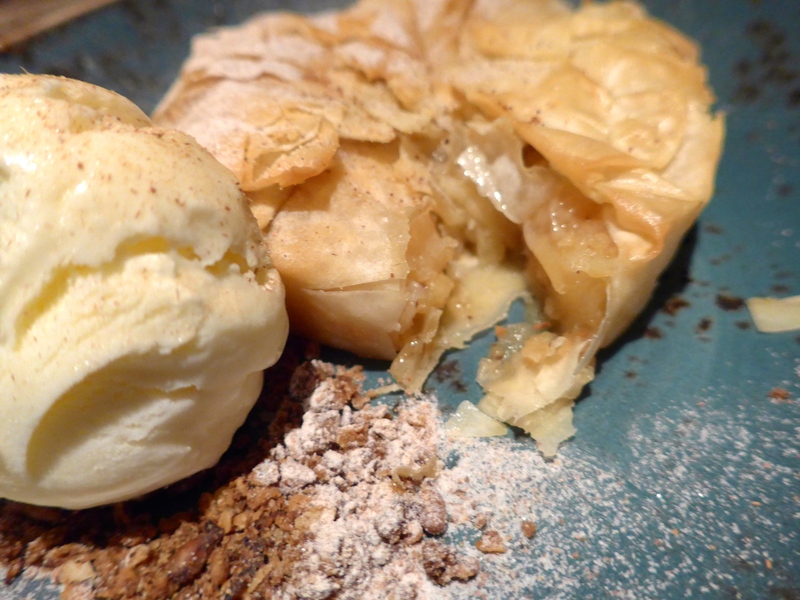 I have decidedly renamed it ‘apple parcel of love’. This is accompanied by a spicy crumble, which everyone seems to enjoy. My batch was a little heavy on the cumin, so I happily scooted it to the side and focused on the pastry parcel. 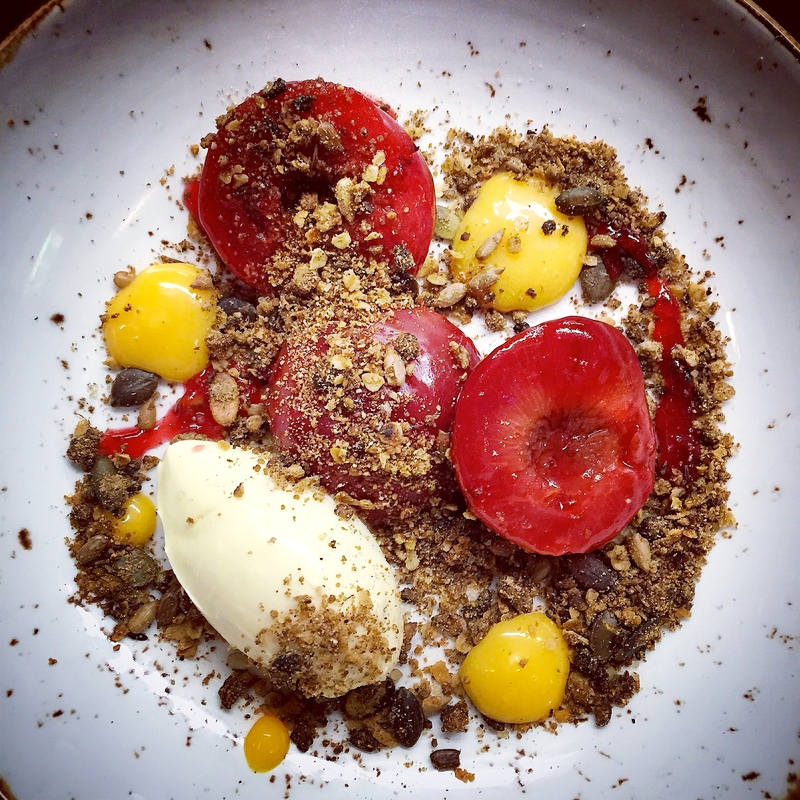 Poached red plums with spiced rye crumble, lemon posset and lemon curd is like a work of art. I love the vibrant colouring of the lemon and wintery vibes of the poached plums, but will be ordering mine without the crumble next time. By now we were at the heavy breathing stage, the giddy state of overfed and sugar high, basking in the candlelight and buzzing atmosphere. Someone in the kitchen happened to know I have a particular fondness for the salted caramel cream and naughtily sent us a plate piled high with the sugary cloud decadent dreams are made of. We tenderly spooned several bites before surrendering. Brillliant description of the food you ate and the atmosphere you were in, makes me want to go and try it. Where is this place?